Berry will be delighted to attend the luncheon at the presentation of the Pictorial Review Achievement Award to Carrie Chapman Catt. 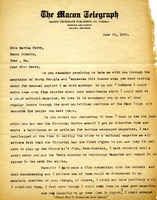 Mrs. Jones writes to Miss Berry to discuss the Pictorial Review Achievement Award. Mrs. Jones is planning to try for the prize so she explains more about her school, Pineland College. She also asks Miss Berry if she has any suggestions for making the application and asking for endorsements. Ethridge asks Berry if she is still planning to take her along when she goes to the mountains to find students because she would like to go and write some articles to sell to big magazines like the Outlook and Good Housekeeping. Ethridge also tells her there is an article about her and the Berry Schools to be published in Psychology Magazine in the next few months. 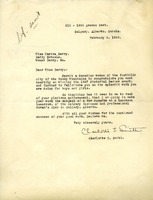 Alice Eddy Snowden, President of the Theatre Club, writes to invite Martha Berry to speak at the group's Social Day program. 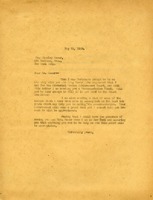 Mrs. Snowdon writes to congratulate Miss Berry on the Pictorial Review award and to ask if she would be interested in a donation of three boys' uniforms from military school. 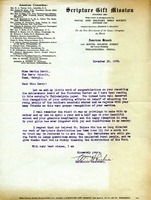 Miss Berry writes to the Assistant Manger of the Educational Division to thank him for the honor of the dedication of the next Annual. 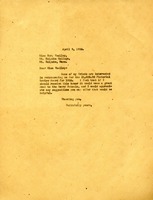 Martha Berry writes to request that Mount Holyoke College President Mary Woolley endorse her for the Pictorial Review Achievement Award. 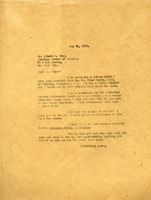 Miss Berry writes to Dr. Shaw enclosing a letter from Dr. Myers, a history professor at Princeton who is enthusiastic about the work of the Schools. 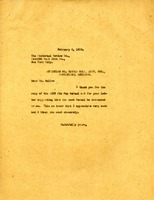 She lets him know that she is a candidate for the Pictorial Review Achievement Award and asks Dr. Shaw to endorse her. WM. 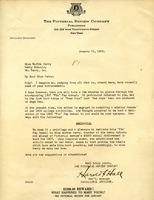 H. Richie congratulates Miss Berry on receiving the Achievement Award of the Pictorial Review, saying that her work deserves the recognition. He recalls his visit to the schools and the gracious hospitality he received there. 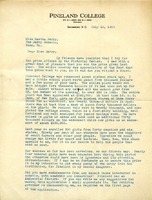 He also informs her that Mr. Haines is ill, but they are still managing to send Scripture to the rural people. 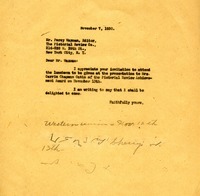 Martha writes to Mr. Resor asking if he would fill out the Pictorial Achievement award recommendation blank. 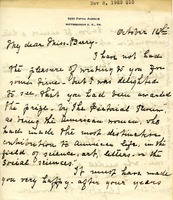 Charles M. Pyle writes to Martha Berry congratulating her on winning the Pictorial Review prize on behalf of him and his mother. He also requests facts about the heredity of her pupils because of his interest in eugenics. 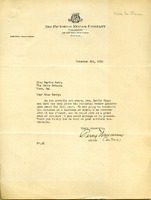 Pennybacker writes in congratulation for Berry's achievements and to remind her to select a student to receive the Mrs. Percy V. Pennybacker Scholarship.